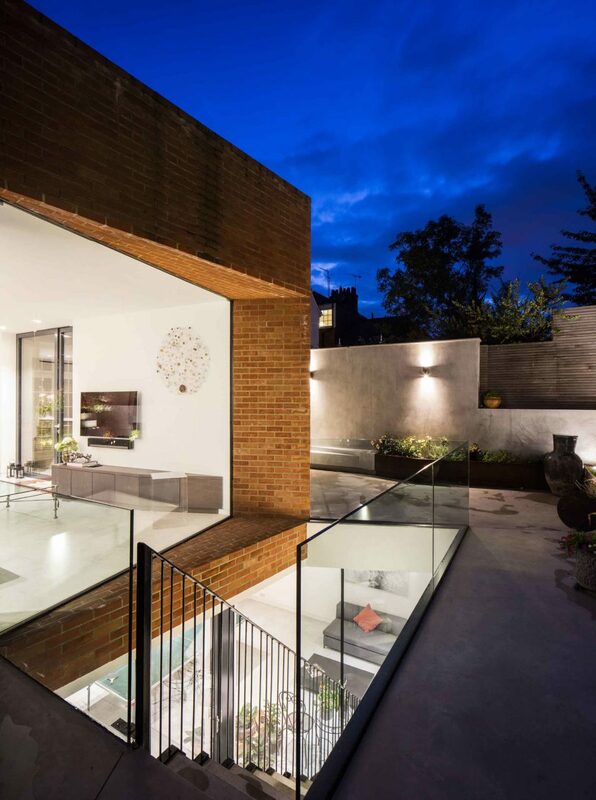 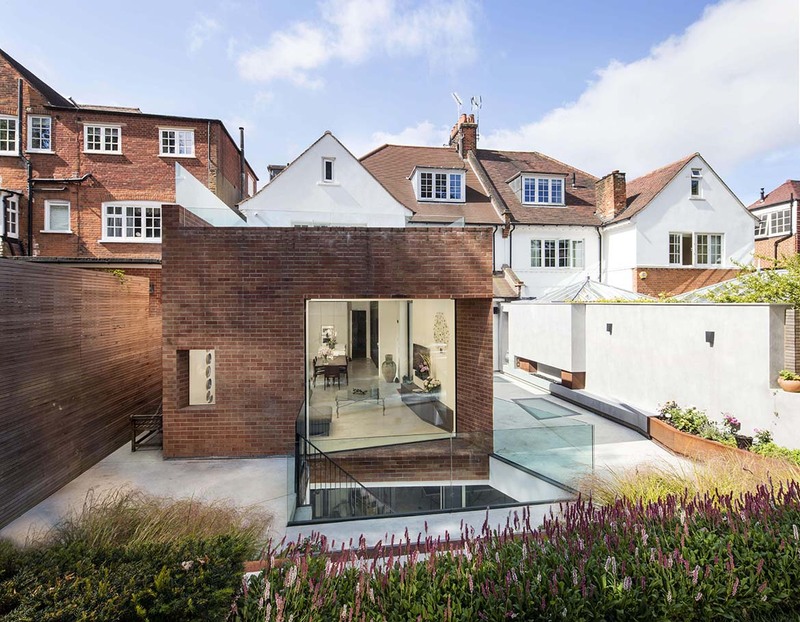 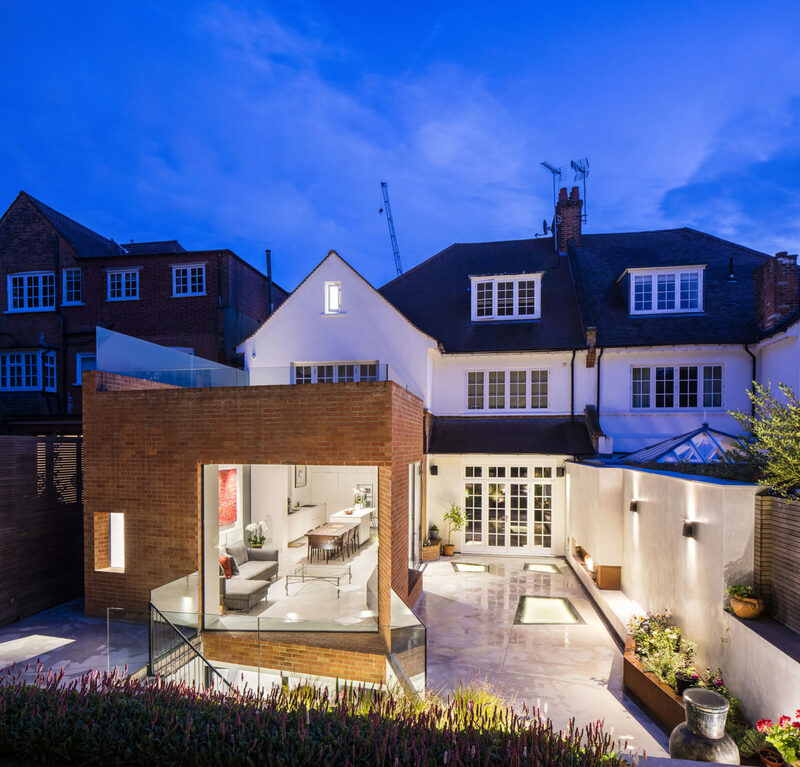 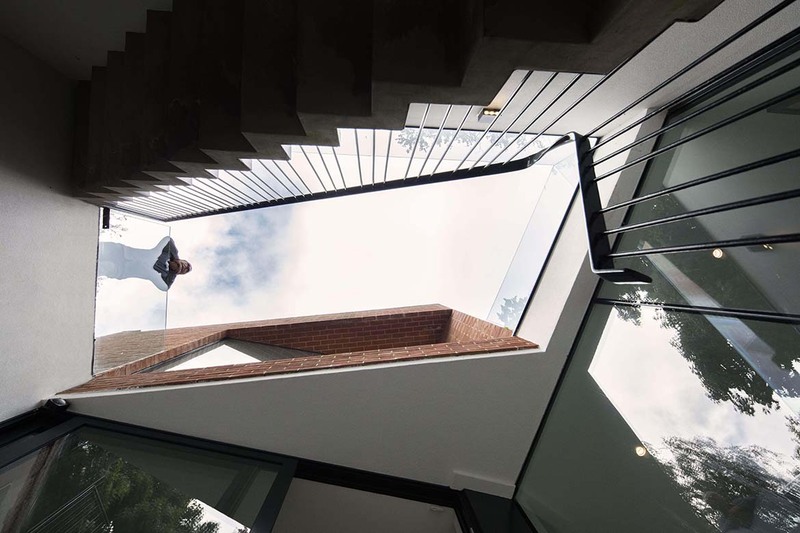 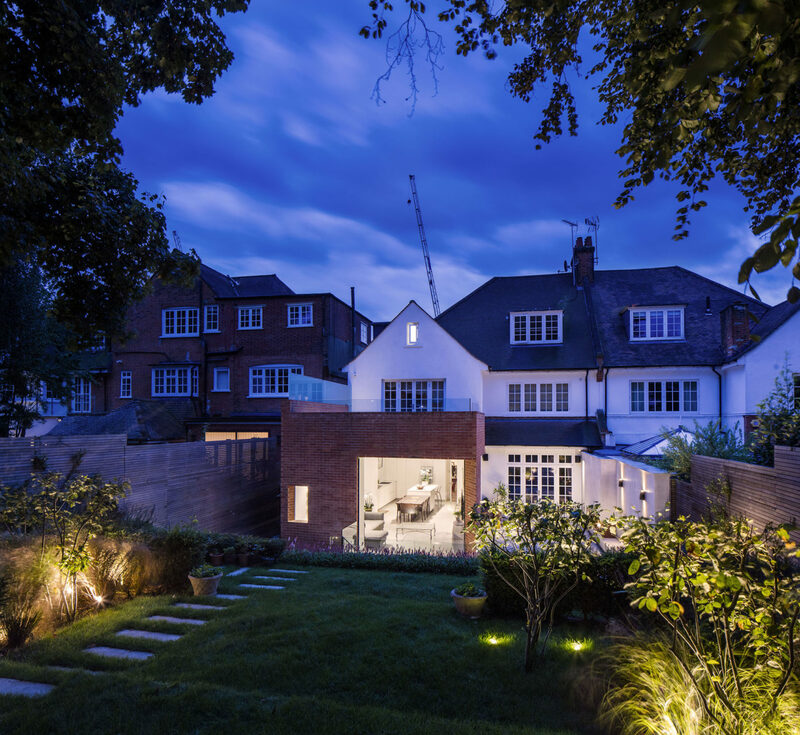 The brief was to remodel and modernize the entire house, with the major part of the work to be a large new basement and an extension built over part of the basement. 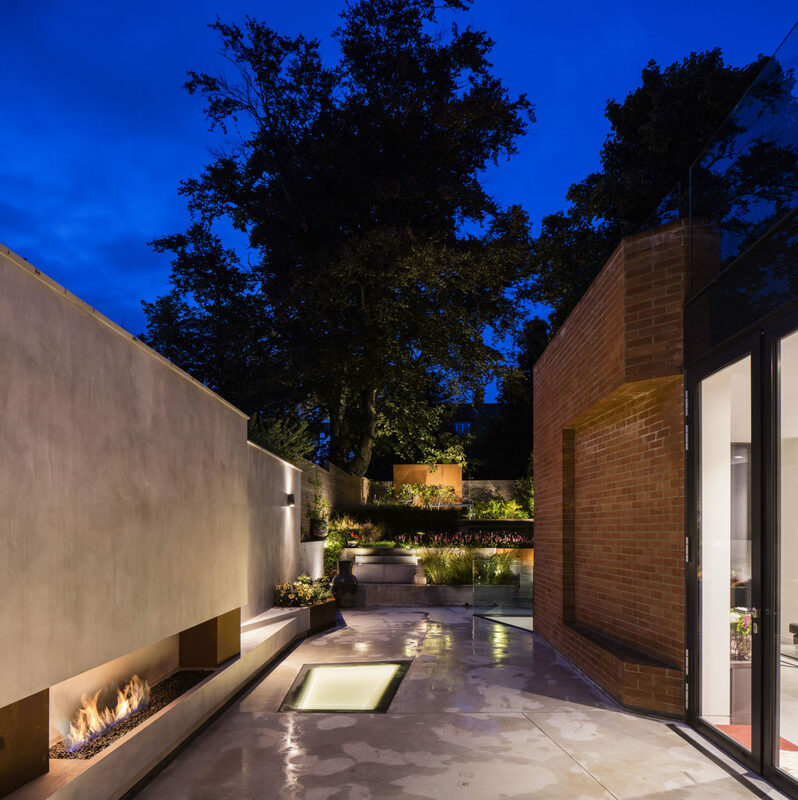 The extension is designed to allow the house to move further into the garden and be more engaged with the landscape and views behind. 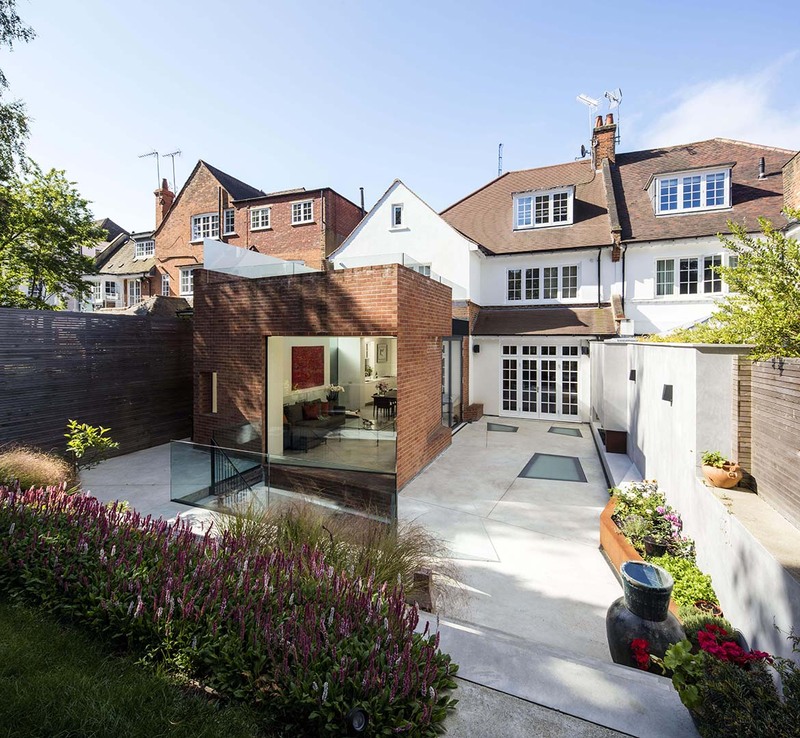 The gap between the extension and the side garden wall is treated to form an outdoor room with a fireplace, albeit without a ceiling. 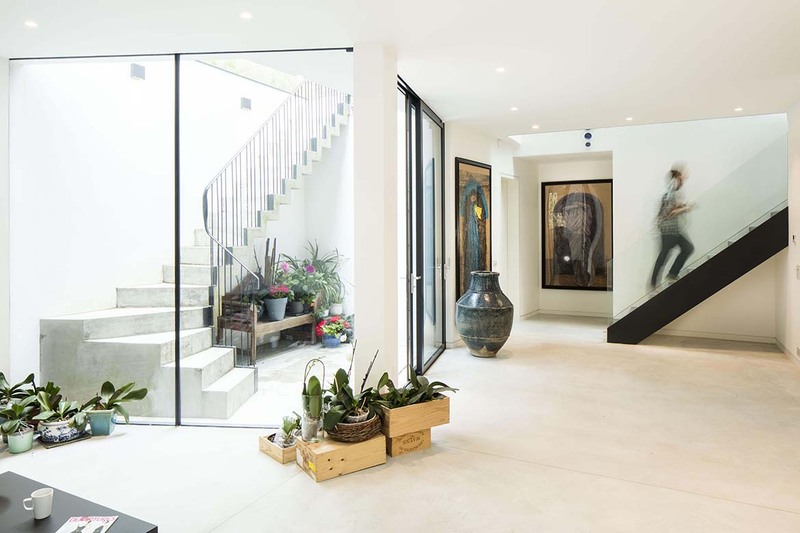 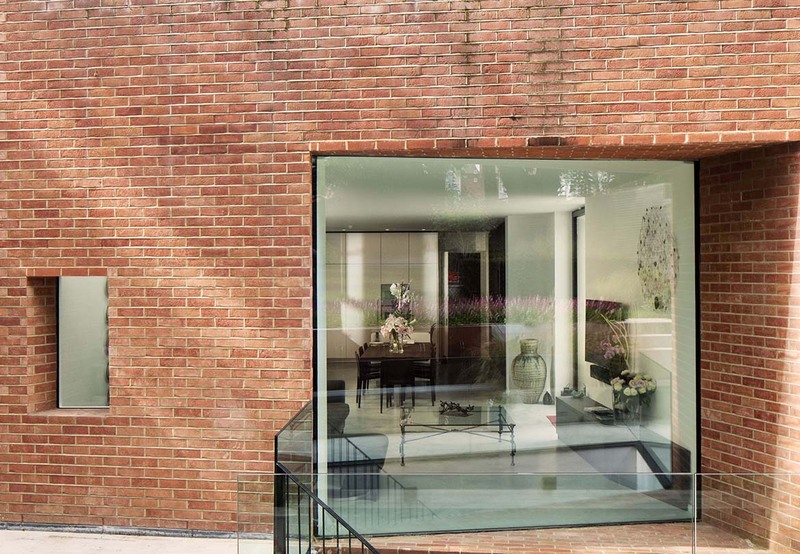 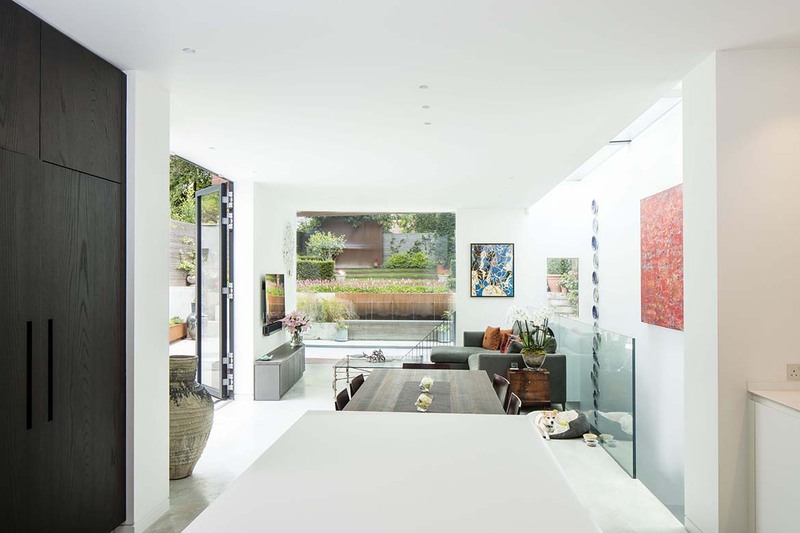 The new basement, reached by a new staircase out of the family room, is a multi-purpose space which will act as a gallery to display the client’s art collection and as an additional space for larger parties.